This book challenges mainstream neo-classical perspectives on the firm. 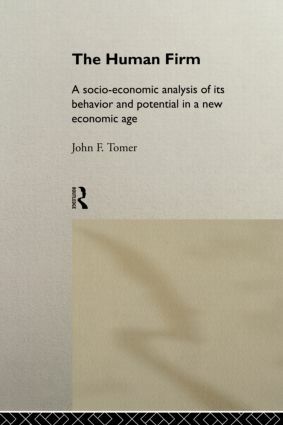 John Tomer argues that in the age of globalization and rapid technological change, an understanding of business behaviour and government policy toward business requires an appreciation of the firm's human dimension. The Human Firm integrates economic analysis with sociological, psychological, managerial, ethical and other interdisciplinary perspectives.